Mark Goodwin, who runs Prepper Recon has written two books in The Economic Collapse Chronicles: American Exit Strategy and the recently released American Meltdown. With all the fears about economic collapse, I was glad to have the opportunity to interview Mark about his thoughts on the best way to prepare. 1. What do you think are the most likely disasters to prepare for and what is the best way for a beginner to be prepared? I believe in preparing to survive without systems of support. Those types of conditions can be triggered by a hurricane, earthquake, EMP, solar flare, or socioeconomic upheaval. With that being said, I think the most likely scenario to trigger tough times is an economic collapse. I think the current monetary policies of the Federal Reserve are creating a massive amount of destructive energy in financial markets. The M2 money supply is around $11 trillion. That is up 57% since the beginning of the crisis in 2008. These are the types of things done by banana republics like Zimbabwe, not by the central bank of the world’s reserve currency. Zimbabwe, by the way, had a hyper-inflationary currency collapse, just like every other country in the past who has tried to print their way out of economic hardship. Argentina in 2001 suffered a similar fate, the Weimar Republic went through the same thin after World War I. It always ends the same. Now the US is doing the same thing and hoping that this time it will be different. Well, I hope this time is different than the other 599 fiat currencies that have failed throughout history, but I highly doubt it. If it is, from a statistical view, it would be considered an extreme outlier. Statistics tell us that the odds of a currency collapse are close to 100%. For a beginner, the best thing you can do is to get on a budget. It doesn’t sound as cool as buying a bunch of guns and long term storage food, but it will keep you from creating your own persona SHTF moment. We don’t know what the meltdown will look like. For many folks, myself included, it has already meant losing a job and having to reinvent yourself. That is much easier to do if you have some savings and are already living within your means. If you are spending everything you make right now, you can’t survive a 10% pay cut, much less The End Of The World As We Know It. 2. For an average person, what are ways to prepare for an economic collapse? To prepare for the turmoil associated with a currency collapse, I am diversifying my assets away from dollars. I try to keep a portion of my assets in silver and gold. Unlike the 599 currencies throughout history that have failed, silver and gold have maintained their status of being stores of value since Genesis 13:2 which says “Abram had become very wealthy in livestock and in silver and gold.” That is pretty much the beginning of time. I am looking to purchase a bug out location. I hope that is something that will turn out to be a good investment. I hope to use it as a vacation spot and to be able to harvest timber from the land. There are several ways to monetize your bug out property between now and the apocalypse. 3. What would you advice city dwellers on improving their chances to survive a disaster? I recommend balancing Operational Security or OPSEC with getting out there and forming community. No one can survive on their own. OPSEC means not telling people that you are preparing and it seems to be juxtaposed to forming a community, but there is actually a middle ground. Don’t invite all of your neighbors over to show off your new gun. Instead, get to know your neighbors and get the conversation started. You can initiate conversation by talking about things that threaten your area. If you live in California, you can start talking about earthquake preparedness. If you live on the east coast, ask your neighbor how well they are prepared for a major hurricane. Most anyone can talk about the recent chemical spill in West Virginia. Ask your neighbors what they would do if they had no drinking water for a week. I woke up from my normalcy bias in September of 2001. I realized how fragile our system was and understood that I wasn’t as safe as I though. I put together a bug out bag at that time and started taking responsibility for my own security. I think everyone should do that. The police can’t be everywhere at once, and we wouldn’t want them to be. Their main task is to show up and take a report after the crime has already been committed. Hopefully, they can catch he bad guy, but the damage has already been done. In 2008 I realized how much I didn’t understand about the fragility of the financial system. I went to school and got my Accounting degree and independently studied our economic system. The more I learn, the more I want to be prepared. Two years ago, that turned into a passion for teaching others and I started PrepperRecon.com. Last year, that grew into a podcast where we have had some awesome guests like, James Rawles, John Rubino, Glenn Tate, Doug Casey, David Morgan, Ferfal, and Bernie Carr. All of those interviews are available to stream or download in the archives section on Prepper Recon by clicking the Prepper Recon Podcast tab at the top of the page. I love prepper fiction, so I started writing it last year. I try to weave my knowledge of economics, politics, and survival into an action-packed tapestry of fast-paced, post-apocalyptic fiction. 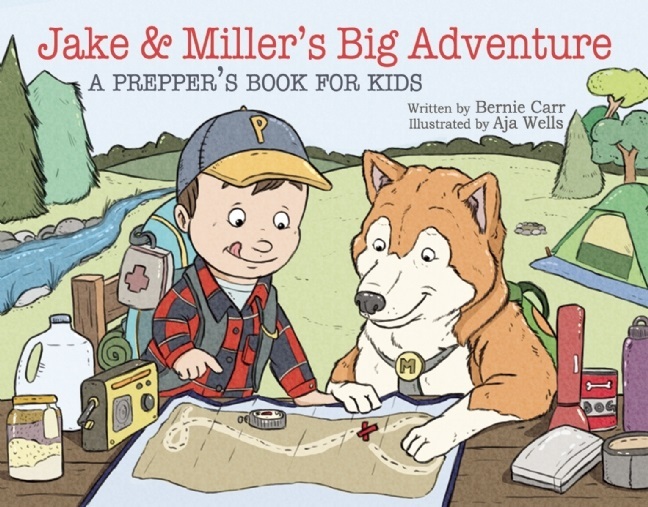 I think prepper fiction can be a useful tool for waking folks up to the need to prepare. 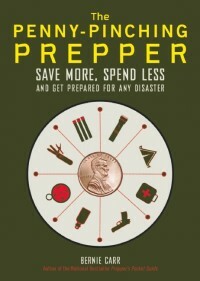 I think it’s a great tool for seasoned preppers as well. It forces us to consider how we would deal with the situations in the book. We questions whether our preps and training would be adequate to survive the scenario. 5. Any plans for other books? Book Three of the Economic Collapse Chronicles will be out this summer. I may attempt a practical survival manual if the Lord opens the right doors. The first book of my next trilogy should be out by next winter. Whereas the Economic Collapse Chronicles pre-supposed the meltdown to be caused by incompetence and buffoonery on the part of the Federal Government, the next trilogy will look at the collapse as being a planned event. Are you concerned about a possible economic collapse? How are you preparing? The winner* will be chosen at a random “Pick a Giveaway Winner” drawing on Saturday, March 8 at 8 pm Central. *Winner will be notified via email. Winner must reply to email notification within 48 hours or another winner will be drawn. Great site and your bring up some great points about surviving and economic collapse. This kinda stuff really makes me consider a simpler lifestyle in those little houses that are becoming so popular. I do think there will be some type of economic collapse in this country and the world. His advice to get on a budget and keep it is pretty good. We try to maintain a budget and keep out of debt as much as possible. We try to live wisely make good buying choices. Just found your site. Though I have been prepping for many years, there is always much to learn. My husband and I have a business that we plan to retire from in a couple of years. The importance of budgeting is SO important. Start with what your goal are, and if married, work TOGETHER on your goal, not against one another. I am not overly stressed about a collapse, I just live my life as if it were going to happen next week., through preparedness, money management, and preventive maintenance (ie , health insurance, termite protection (had that issue a few yrs back), etc. thanks for your example of preparedness. One more comment, I too have been a supporter of Emergency Essential, in fact I have been a group leader since 1998, for our local church members. Our children are grown but all four, (3 married) have been living with preparedness in their blood and are continuing to improve their skills. THEY are our big reason for even starting. Our example is what gave them the mindset of preparedness being a life expectation. Hi vd, I am glad to hear the preparedness mindset has stuck with your children. Working on mine and hope they stick with it as well. Thanks for the comments! The Federal Reserve has created over 3 trillion since 2008 and inflation is about 1.5 percent annually. Interest payments on the National Debt are 1 percent of the 16 trillion dollar United States economy. The only economic collapse is on all the survival websites wanting you to buy gold and silver. I loved the books, and am eagerly awaiting book 3. I’m an avid Prepper Recon reader, as well. I have been doing this seriously for a couple of years now, and quite frankly feel a little less prepared each day, because it looks like things might be accelerating. I have purchased some land, and am in the process of building a hunting camp on it – that’s my plan for monetization, as it’s in prime elk, mule deer and antelope hunting country – lots of guys would love to pay to sleep warm and dry in between trips out to try and get their trophy. Of course, that will double as our GOOD spot if and when (probably when) it becomes necessary. Question – I own some silver rounds and some silver dimes (junk silver). I’m looking to invest in more – do you see a big advantage to going with coins over rounds, or vice versa? Good question, the short answer is “silver is silver” and it doesn’t matter. The long answer is some folks are not going to be as familiar with some of the private mints as they are US and Canadian sovereign mints. As you probably know, you’ll pay a higher premium for US eagles and Canadian maples than for privately minted bars. I have a little of each. My favorite privately minted bar is Sunshine, because they are widely recognized. If you get into companies that are too obscure, some folks may not accept them in a batter economy. I pick up some pre-1964 coins as well when I can find them at a good price, but I’d never pay more for junk than silver bars. Yes, I am concerned about an economic collapse. A.) staying out of debt — the less I spend paying interest the more I have for other things. B.) Prioritizing basic necessities over luxury items; purchasing more physical goods/items instead of temporary activities. C.) Building a cash or cash equivalent reserve (money market account) that can be accessed relatively quickly (2 days). D.) Keeping cash in savings account to handle minor/immediate needs instead of borrowing — see point A.
F.) Building up inventory of food and household goods that can see us through a temporary disruption. I feel an economic collapse is “baked in the cake” at this point. No fiat currency has survived after debt becomes 100% of GDP It may limp along anywhere from 6 months to four years or more depending on whether it is a controlled demolition or spirals out of control. Now that JP Morgan Chase is net long Gold it could be getting close. In this environment if you cannot physically touch it (any Asset) you don’t own it. There is counter party risk in everything at this point, Bank “Bail in’s” and M F Global are blueprints for your future in a collapse. i’m prepping for economic collapse because i think that’s the most likely scenario in my lifetime; but i’d prepare the same way for just about anything: a modest stockpile of food and water, a get-home bag in the car, an edc i carry around and, of course, always trying to learn more. Live within your means. My wife and I have always done this mostly by trying to pay for everything with cash. We are a good balance – she looks at the near future (setting aside money for bills and alittle each month to pay for insurance, etc each year). I look at how we can pay down the mortgage and contribute to RRSPs, etc. I believe that if I have control over our finances it will better prepare us if something happens on a national or global level. the US is testing this again. I am preparing by looking for a job and buying as much food and water as I can afford. In addition, I am trying to develop skills.